Junior Associate, B. C. Toms & Co.
B.C. Toms & Co is a multinational law firm of Ukrainian and Western lawyers specializing in Ukrainian law. It was the first Western law firm to open a Kyiv office, having focused its practice on Ukraine at its independence in 1991. The firm has handled, for example, land leasing for many of Ukraine’s largest agricultural and oil and gas projects, as well as acquisitions of land for commercial property developments. We also handled the legal work for the first, and the most, IPOs to raise funding for Ukrainian companies, as well as the first true project financing in Ukraine. Based on our over 25 years of experience in Ukraine, we can provide, with our legal advice, practical commercial advice on how to establish and develop a business in Ukraine. The firm has recruited and trained its Ukrainian lawyers from students at Ukraine’s leading law schools, most of whom have also studied at UK and US law schools as Chevening, Pinchuk, Fulbright and Muskie fellowships. Based on the firm’s practical experience, it has written numerous articles on Ukrainian law, including the legal section of the book Doing Business in Ukraine. The principal practice areas of B. C. Toms & Co include real estate and land development, energy, natural resources, agriculture, banking and finance, M&A, environmental, labor, bankruptcy and administrative law. The firm also has a successful litigation and arbitration practice, having successfully handled many of Ukraine’s most important cases, including in all Ukrainian courts and before the Permanent Court of Arbitration in The Hague. 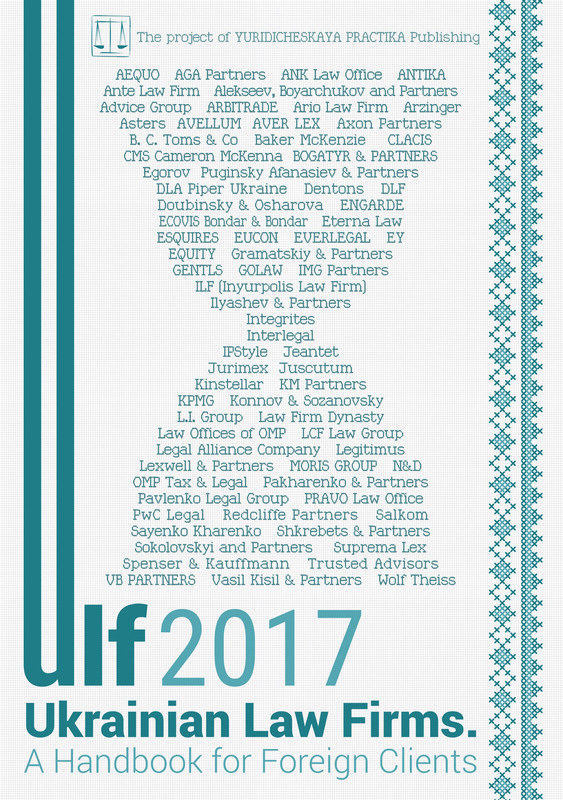 The firm regularly advises on Ukrainian tax law, including from a multinational tax planning perspective. B. C. Toms & Co has prepared a wide variety of documentation for clients, including Ukrainian law share purchase agreements, asset purchase agreements, joint venture agreements, construction contracts, project financing documentation, production sharing and oil and gas license agreements, airport investment and management agreements, hotel management agreements, private placement agreements, real estate acquisition agreements, loan agreements, leases and agency, distribution, franchise and licensing contracts. On 6 October 2016, the Law On Amendments to Some Legislative Acts of Ukraine Concerning Improvement of the State Registration of Rights to Immovable Property and Property Rights, No.1666-VIII, was adopted. Under this statute, the state registration of property rights by a notary should now be conducted only within the region (being regions as well as the cities of Kyiv and Sevastopol and the Autonomous Republic of Crimea) where the applicant is located. The limited territorial jurisdiction of the authorities responsible for state registrations is not applicable when the documents are submitted in electronic form, in which case the state registration can be performed regardless of the location of the applicant individual or the legal entity within Ukraine. The Law On Amendments to the Tax Code of Ukraine for Balanced Budget Revenue in 2017, No.5132, was adopted on 20 December 2016. This Law, which came into force on 1 January 2017, changed the royalty rates for certain categories of subsoil use. Specifically, the rate of the royalty fee for oil extracted from fields that fully or partially lie at a depth beyond 5,000 meters is 29 % (previously 45%). — 14% of the tax assessment base applicable for the extraction from deposits fully or partially lying at a depth below 5,000 meters. — use of land for conducting concession activities. In addition, this statute amends the procedure for land auctions, requiring them to be conducted under contracts between the organizers of auctions (owner of a land plot) and the auctioneers (a legal entity who undertakes to organize and run an auction as a contractor), with all costs borne by the organizer of the auction, or the auctioneer, as provided by their contract, with further compensation being payable by the winner of the auction. The Model Land Lease’s terms were modified on 23 November 2016 in order to reflect the Law of Ukraine No. 191-VIII, of 12 February 2015, On Introducing Changes to Certain Legislative Acts of Ukraine Regarding the Simplification of the Conditions for Conducting Business (Deregulation) (the Deregulation Law), that entered into force on 5 April 2015, and restated parts of Law of Ukraine No. 161-XIV, of 6 October 1998, On the Land Lease, by reducing the number of mandatory terms for land lease agreements. — the land lease agreement must be executed in only two copies (previously a third copy was required for the state registration office). The Resolution of the long-standing issue on the sale of agricultural land has been postponed again. On 6 October 2016, the Law of Ukraine On Amendments to Chapter X “Transitional Provisions” of the Land Code of Ukraine Concerning the Extension of the Prohibition to Dispose of Agricultural Land, No. 1669-VIII, was adopted, which extended the moratorium on the sale or other disposal of agricultural land until 1 January 2018. It is presently anticipated that the extension of this moratorium will end this year after the Parliament of Ukraine provides for the better legal regulation of the transfer of agricultural land. Parliament is expected to adopt a new law on the transfer of agricultural land, as required by the Memoranda between Ukraine and the International Monetary Fund (the Memoranda) of 27 February 2015, 21 July 2015 and 1 September 2016. Under the Memoranda, Ukraine undertakes to pass a suitable law before the end of May 2017 and to cancel the moratorium on the sale of private and state-owned agricultural land starting from the end of 2017. A working group has been organized in cooperation with the World Bank to develop the relevant draft law. However, this agreed schedule has already been missed, as the cited 31 May 2017 deadline was not met. What will actually happen remains somewhat unpredictable, as ending the moratorium is politically controversial. Previously an estimated 1.5 to 2 million hectares of agricultural land in Ukraine belonged to the category of so-called “dead souls” land, where the owners had died and no recognized heirs were found. The relevant territorial community had an obligation to establish its ownership over such land plots, but this involved very time-consuming court proceedings, as the procedure for such proceedings was rather complicated, so the territorial communities were often unable to establish their ownership in practice. (iv) After the death of an agricultural land plot’s owner, the local council of the territorial community of the place where the land plot is located can lease it during an interim period, until either (i) the heir(s) shows up and completes the state registration of his, her or their ownership rights to this land plot, or (ii) a court decision recognizes this land as being a “dead soul” land plot, what should be clearly stipulated in such lease agreement. The Law On “Dead Soul” Land Plots only applies to land lease agreements concluded after the date of its adoption.